A Special meeting of Sona Speaker’s Forum is arranged between 3:30 P.M to 05:00 P.M on Wednesday, 19th December 2018 to watch the live launching of GSLV MK-II near the Main Library quadrangle. 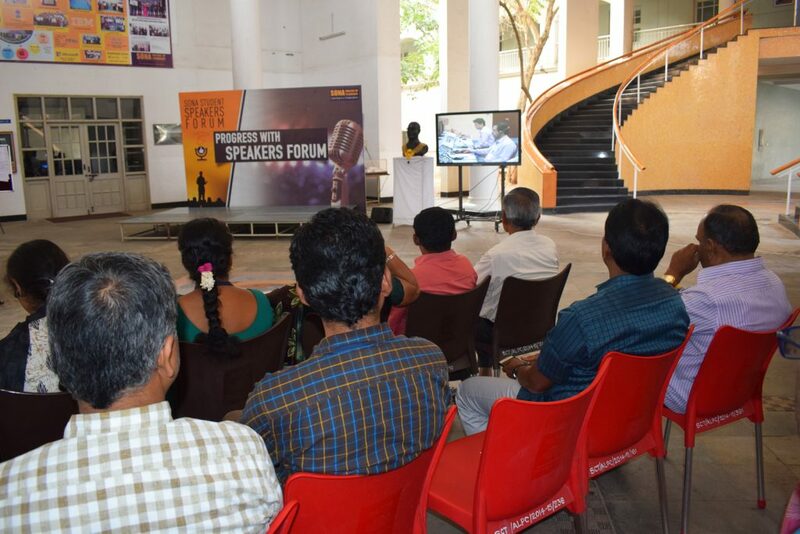 Dr.B.Sathiyabhama HOD-CSE and member of Library and Sona Speaker Forum committee welcomed the gathering. This Rocket carried Stepper Motor of Sona SPEED which worked flawlessly. Prfoesseor Dr.N.Kannan., shared his experience in working at ISRO and the production of Stepper Motors at Sona for Launch Vehicles. The Program was attended by Hundreds of Students and Staff. 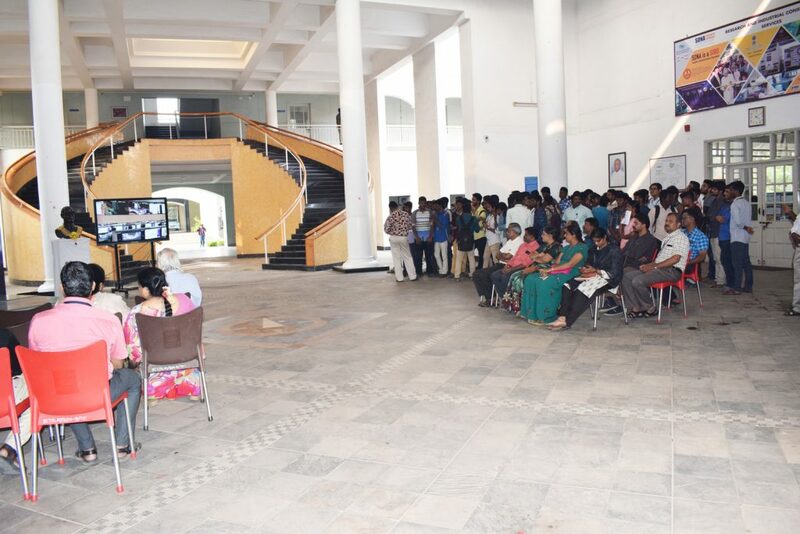 When the Satellite wassuccessfully separated and placed in orbit the audience in theMain Library Quadrangle were thrilled and gave a standing ovation.All in All the program was a great success, thanks to the team of Staff coordinated by Mr.V.Venugopal, A.O. The Program ended with a Vote of Thanks by Mr.N.Sreedharan, Librarian. This entry was posted in Sona College, SonaSpeed News on December 20, 2018 by admin. Sona is one of the fastest growing technical institutions in India and a leading engineering college in South India. Sona signed an MoU with Nottingham Trent University, UK. Salem - 636 005, Tamilnadu, India. 91 - 427 - 4099888. © 2019. Sona College of Technology. All rights reserved.